It seems as though the excitement over a waste war has declined in our house. It has become second nature to ask for no straw at a restaurant using reusable grocery bags at the store, bringing a zero waste lunch to school, however when my boys are at a friend's house, they seems to overindulge and not mention the waste they accumulate. We sat down, had a long talk whether they wanted to continue the waste war. They all agreed they did, but asked if we could continue December 1. 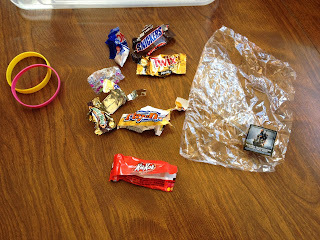 They promised they would be cautious over their waste, but did not want to keep track of it until the end of the month. With that being said, Christmas is around the corner, and as we all know, produces a lot of waste. 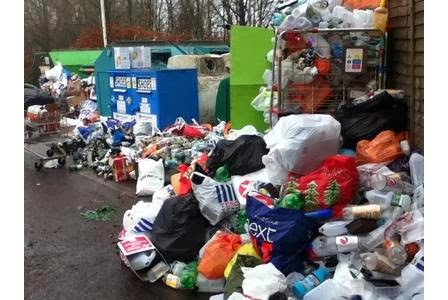 In fact, last year about 4 million tons of waste was accumulated in wrapping paper and shopping bags alone. I wondered, how could I continue a waste war at Christmas and still celebrate the holiday. Then I read an idea of experiences vs presents on a blog. At first my idea of experiences, instead of actual presents, was immediately rejected by my 6th grader. After I explained in detail what this would entail, my 6th grader started to warm up to the idea. I'm not sure if my house is like others, but it seems that 2-4 weeks after Christmas, their new toys get thrown in the toy bin, never to be played with again. 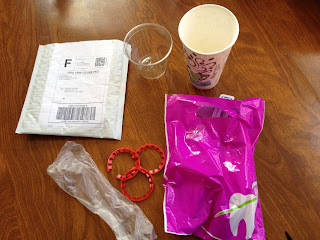 With each toy comes a lot of plastic packaging and waste. Instead of wasting money, resources and plastic on toys, which we will donate to Goodwill in the spring, family experiences would give us a life time of memories. Now, before you think this is border-lining on child abuse, like my co-worker does, they will enjoy a few gifts that can actually be opened. I asked them to make a list of experiences and I love how creative they became. This is my 6th graders list: rock climbing, Air and Space Museum, Jumpology, movies, water park, WWE Wrestling Match (not going to happen), NY Giants game (I wish), camping, obstacle courses and laser dodging. I haven't ironed out all of the details and how many experiences I will choose, but we will be able to enjoy Christmas all year round. Maggie- 1, plastic wrap. I had a perfect week until the last day of the week. I went out on a date with my husband and the restaurant brought out our silverware in plastic wrap. I predict that this coming week we will have a lot of candy wrappers in our waste count. I won the first week and as our fun activity we went back to Carter Mountain. 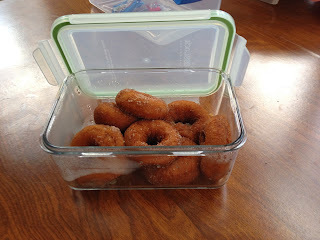 We remembered that the staff at Carter Mountain are willing to put fresh donuts in containers that people bring from home, which eliminates using their plastic packages. I came prepared and brought my own glass container for donuts (picture below). We also brought our own bag to collect apples. I won the second week as well and have not decided where we will go for our fun activity. It will depend on the weather this week. We are hoping this great weather will last a few more weeks before we see snow.